…if you will be in Tokyo in 2011, you’ll be able to see pandas at 「上野動物園」 (Ueno Zoo). Well, the big day of the Pandas’ arrival has come. Tomorrow (2011 February 21) the two new Pandas from China will arrive at the Ueno Zoo in Tokyo. Tomorrow is a Monday though…and, like most zoos and museums in Japan, Ueno Zoo is closed on Mondays (unless it’s a Nat’l holiday). But the Pandas won’t make their debut for the Japanese public until sometime next month (March 2011). I never knew that the Pandas are rented assets here unti today, I always thought they were given to the countries as an exchange of goodwill or something. I agree with pongrocks in some ways. Im not an environmentalist either but I simply find it bad taste to see animals like pandas being treated in that sense. Ok, fine if they are using those fees for the benefits of the Pandas, good to hear that. But dont you think these countries are doing China a favour too by promoting their country through their national animal? But then again what do I know? So dont anyone bite my head off for my opinion 😀 thanks. Ive never seen a panda before nor held one but I would love to do so one day when and if we go to China again, someday. 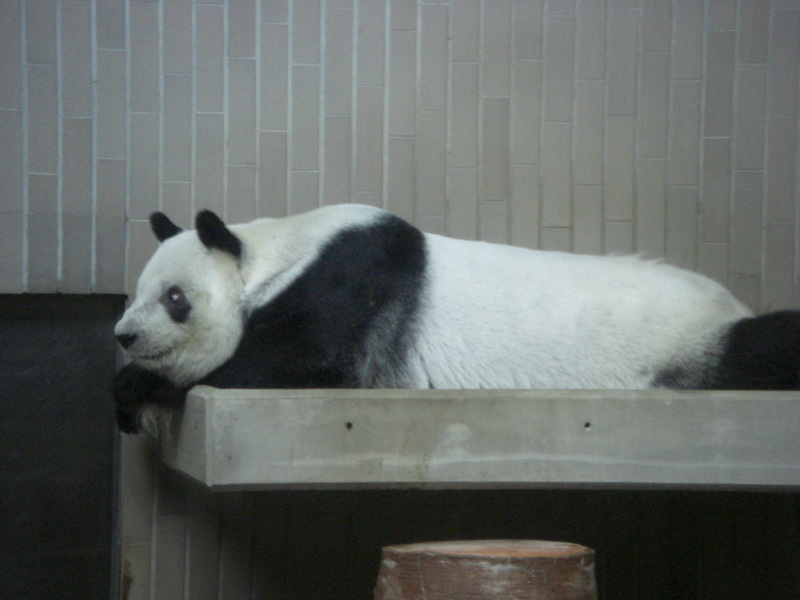 I first learned that China charges annual fees for zoos to have a panda in 2008 when Ling-Ling died. I was surprised to hear it too. There are other types of animals in zoos besides pandas that are also endangered. I don’t think it’s really fair of China to charge rent…especially since other countries donate animals to their zoo for free…even with their claim that the money is used to protect the species—because one purpose of zoos is to try to protect endangered animals through breeding and other measures. No different than cattle, I suppose. It’s a commodity of their country. Still…it almost has the bad taste of being extortion doesn’t it? >>No different than cattle, I suppose. It’s a commodity of their country. In China’s defense though, they claim the money they receive for renting out pandas is used for efforts to keep the animal from becoming extinct. >it almost has the bad taste of being extortion doesn’t it? I think other countries should charge China rent for the animals that are in the Beijing Zoo. I have kids, so when they were young we went to the zoos around Tokyo may times. I think China is the only country that does this. Many zoos around the world have lions, giraffes, kangaroos, koalas, tigers, etc and I don’t think Africa, Australia or India are charging rent for them.